Litigation and alternative dispute resolution are often paired in legal education. Litigation refers to the process of preparing and presenting a case in court. Alternative dispute resolution (ADR) includes mediation and arbitration, processes which can take place either independently of the court system or during the course of the in-court litigation process. Litigators, frequently called trial attorneys, most often work as private practitioners, government prosecutors or public defenders. Their arena is the courtroom. Many are generalists, while others concentrate on particular areas of law, such as intellectual property or criminal defense. While litigators seek to resolve conflicts in a court of law, mediators work with parties in private settings, helping them to arrive at mutually agreeable decisions. In mediation, decisions are ultimately made by the parties themselves and are non-binding, with parties free to pursue other avenues of redress if they remain dissatisfied. Mediators handle disputes in areas ranging from divorce and child custody agreements to landlord-tenant conflicts, employment discrimination issues and toxic tort liability. Arbitration, on the other hand, is often regarded as a simplified version of a trial, with less-involved rules of evidence and procedure. In arbitration, decisions are made by the arbitrators and are binding on the parties. Arbitrators often handle disputes involving business-related matters, including labor, construction, real estate, insurance and securities, and often they have expertise in particular areas of contention. Civil litigators can be found in law firms, solo practice, nonprofits and the legal departments of corporations. Mediators and arbitrators can be found in private ADR firms, law firms, nonprofits, corporations, federal and state courts, and state and federal administrative agencies. Clients include large or small businesses, corporations, labor unions, U.S. government agencies, and individual disputants. On a typical day, civil litigators may counsel clients, depose witnesses, draft pleadings, represent clients at pretrial hearings, present cases at trial, or pursue an appeals process. Mediators or arbitrators may meet with parties, interview witnesses or claimants, evaluate evidence presented, or draft settlement agreements. During law school, prospective litigators can work as externs in law firms and government offices, including the state's attorney, U.S. attorney and public defender. Other students gain experience through mediation/ADR clinics at their law schools, where they are trained as mediators and mediate real cases. Many students compete on their law schools' interscholastic trial advocacy or ADR teams or work in law school clinics involving litigation or ADR. 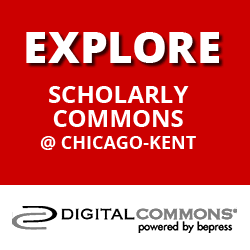 Chicago-Kent offers a J.D. Certificate in Litigation and Alternative Dispute Resolution (LADR) for aspiring mediators or litigators who want comprehensive training in trial skills, negotiation and mediation combined with a rigorous clinical curriculum. >> Learn about the certificate program curriculum and requirements. >> View J.D. 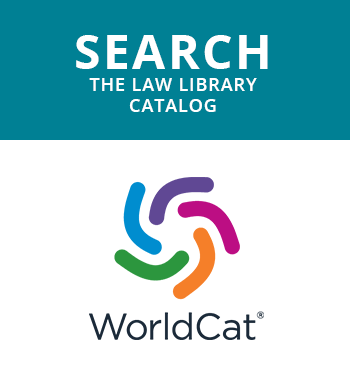 courses relating to litigation and ADR (this listing may include some courses that do not count toward the LADR certificate). 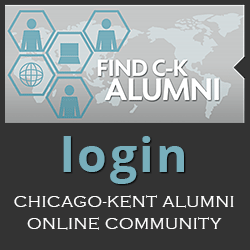 Chicago-Kent also offers a joint certificate program in Litigation and Alternative Dispute Resolution and Labor and Employment Law. >> Visit the J.D. Certificate Program in Litigation and Alternative Dispute Resolution faculty page to learn about Chicago-Kent faculty who teach courses relating to litigation and ADR methods, and who provide clinical training in the context of their legal practices in the Chicago-Kent Law Offices. The Justice John Paul Stevens Jury Center is a website that serves as a clearinghouse for information about the jury to academics, students, judges, lawyers and members of the press and public. The Criminal Law Society of Chicago-Kent is committed to building awareness of criminal law issues and providing opportunities to engage with other students and professionals interested in criminal law through speaker events, panel discussions, networking functions, and other interactions with society members and practitioners within the field. The Federal Bar Association Chicago-Kent Law Student Division supports the interests and needs of Chicago-Kent law students aspiring to federal practice, both public and private, and seeks to strengthen student interest and knowledge of the federal legal system.